‘Kilnya’, the cover of Pithead Chapel – Volume 7, Issue 10 – first published October 1, 2018. 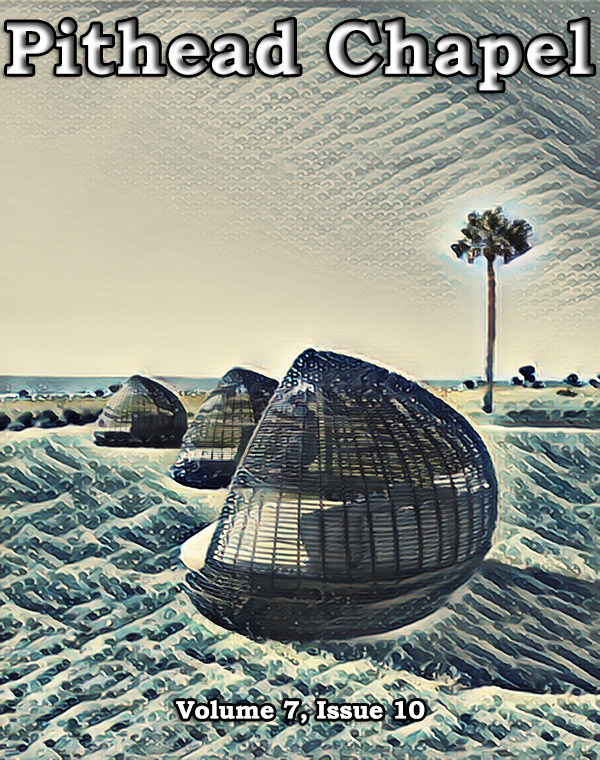 I photographed these large rattan lounges on the ocean-facing lawn of the Holiday Inn on Jekyll Island, Georgia in the spring of the year. I sampled and layered and hand-painted the shot with to create the effect of an incoming tide, reflected in the sky above.